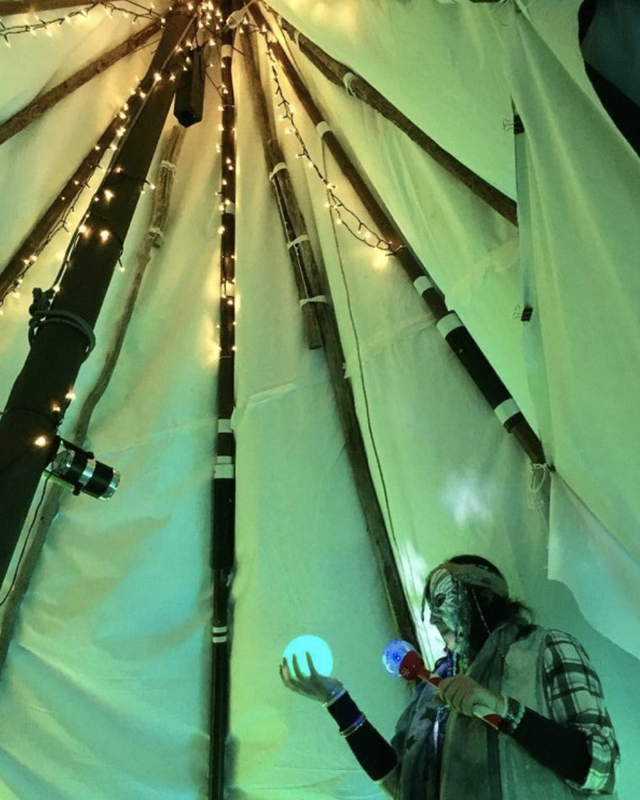 In her Cementa Festival installation and performance, The Snowflake Shaman’s Winter Wonderland, Skye Saxon performed as a Snowflake Shaman offering guests the opportunity to transform their stress into snow within her winterland tipi structure, developed and constructed by collaborating artist, Aesha Henderson. 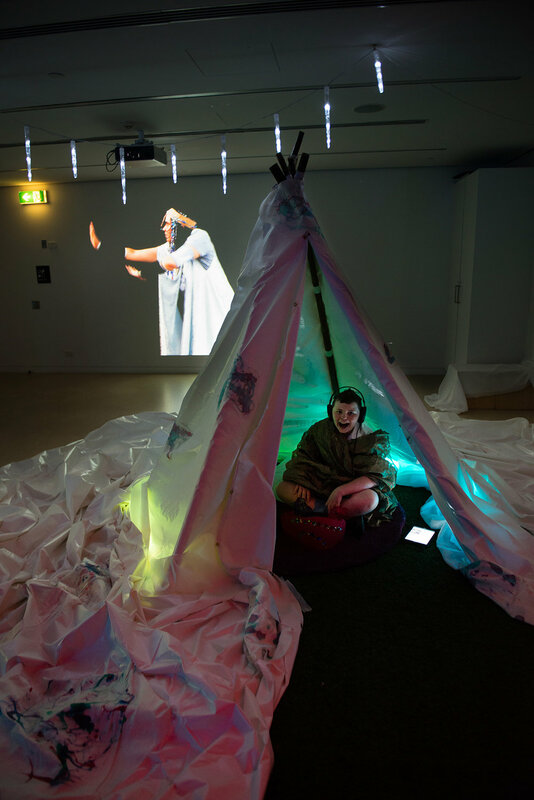 Aesha and Skye also worked together to re-construct the tipi in an installation in the Musuem of Contemporary Art's National Centre for Creative Learning for an event for students with disability (see third image). This project was supported by the Accessible Arts’ Delineate grant as a part of the Don’t DIS my ABILITY program, who created this short video about Skye's involvement in the festival. Thom Roberts in his participatory crown-drawing performance at Cementa Festival 2017. Photography by Chi Chi Menendez. Studio A directed multi-sensory performance and dining experience, birdfoxmonster, a project created in collaboration with Erth Visual and Physical Inc, and Carriageworks in 2017. Video by Sam James.